This is one of my favorite topics to train to and coach on. When you think of everything that you have to balance in your life…there is only so much time! How do you get it all done? Sometimes we can’t get it all into our day and that throws us out of balance. 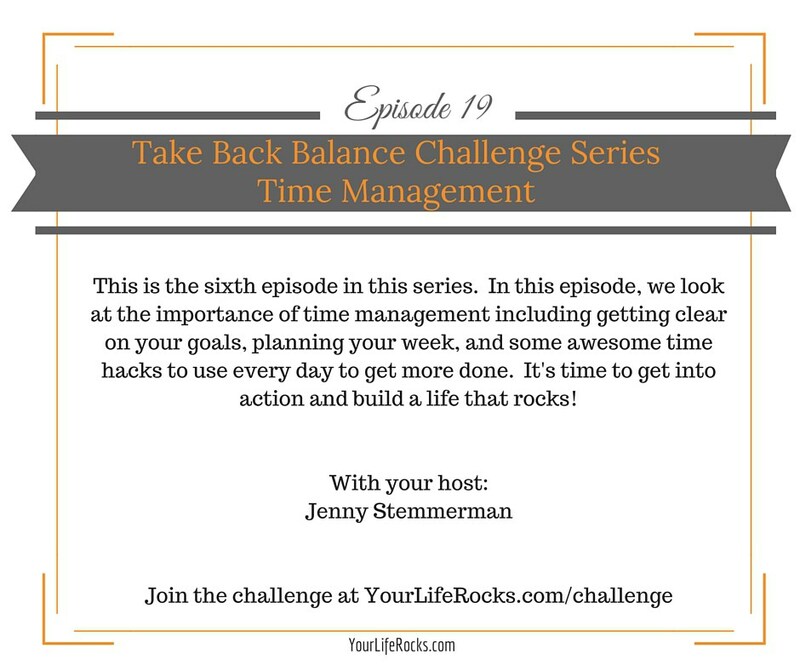 This episode expands on some of the tips and tricks that are offered on day 6 of the 7 day challenge. Have you taken the challenge? Click the image below to sign up! It’s free! Each day you will receive an email with instruction to gain skills on the topic of the day, provide inspiration, and action items so you can take back the balance in your life. Make a mental dump list. Everything that is floating around in your head needs to come out and put on paper. Look at your week ahead and schedule in the things that matter. Get up earlier to have time with God. Trust me, it will bring more peace to your day. Pick on focus for the day. Ask yourself: What is the one thing that I could do today to make me feel successful? Then do it! Reflect daily on the goals for all areas of your life. Identify the time needed to complete each task. Give the Pomodoro method a try! Link below. 20 Rule-I talk more about it in a blog post, link below.